ชื่อ : ขนุน	E-mail : nanoom_17@hotmail.com วันที่ : 15 มกราคม 2553 13:22 น. ชื่อ : มด	E-mail : paritasp@ais.co.th วันที่ : 13 กุมภาพันธ์ 2553 00:29 น. ชื่อ : ใหม่	E-mail : Nu_Mai_D@hotmail.com วันที่ : 20 มีนาคม 2553 13:37 น. ชื่อ : atiruck	E-mail : s_a_r_a_p_a_o@hotmail.com วันที่ : 5 กรกฎาคม 2553 01:28 น. ชื่อ : จอย	วันที่ : 23 สิงหาคม 2553 00:21 น. 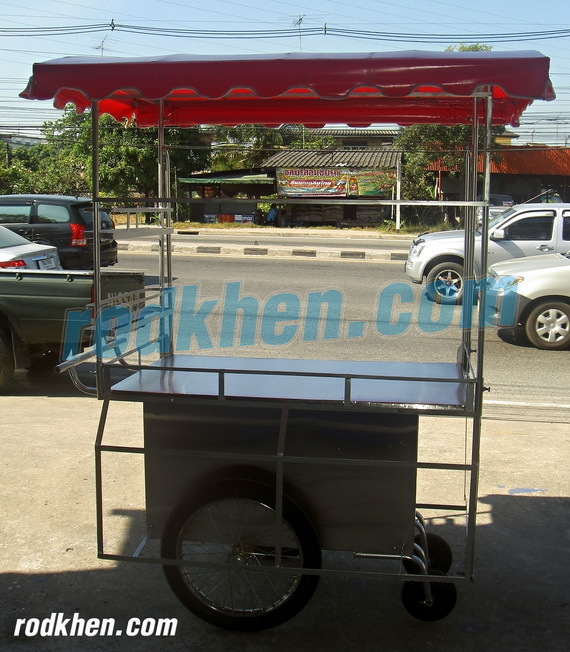 รถเข็นขายของพร้อมหลังคาผ้าใบ 2 ด้าน ขนาด 120*75 cm (rd-013) กับ ขนาด 140*80 cm. ชื่อ : อ้อมค่ะ	วันที่ : 24 พฤศจิกายน 2553 00:51 น. ชื่อ : ยุวดี	วันที่ : 14 มกราคม 2554 23:46 น. ชื่อ : ศิราภรณ์	E-mail : sirapron@hotmail.co.th วันที่ : 23 สิงหาคม 2554 12:49 น. ชื่อ : เชอร์รี่	E-mail : k.supreya@gmail.com วันที่ : 7 มกราคม 2555 13:55 น. ชื่อ : พักตร์	E-mail : pakrudee.a@tccland.com วันที่ : 5 กุมภาพันธ์ 2555 22:13 น. ชื่อ : สุดา	E-mail : suda_deemak@hotmail.com วันที่ : 9 มีนาคม 2555 08:17 น. 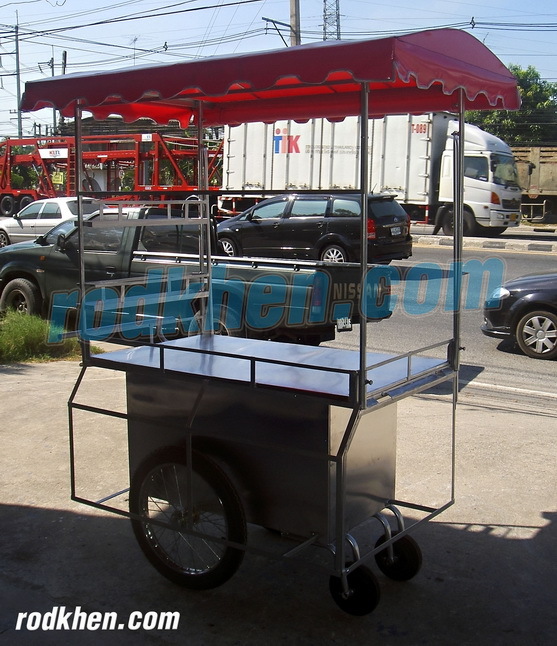 ชื่อ : จุไรวรรณ	E-mail : je_jee_ju@hotmail.com วันที่ : 17 เมษายน 2555 13:28 น. 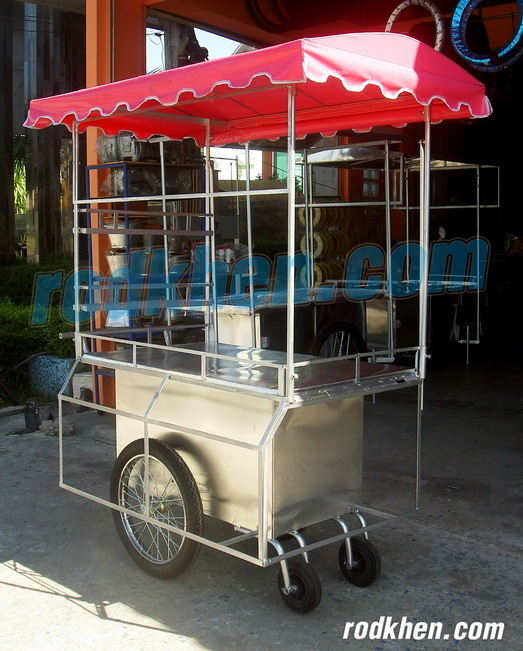 ชื่อ : patchaya	E-mail : patchaya_bl@hotmail.com วันที่ : 3 กันยายน 2557 10:01 น. ชื่อ : แม่ค้าตลาดสดน้ำโท้ง	E-mail : chutiphonkarndee@gmail.com วันที่ : 24 ตุลาคม 2557 08:33 น. ชื่อ : gucci	E-mail : WQM@163.COM วันที่ : 4 มกราคม 2559 10:52 น. ชื่อ : http://www.toryburchs.net	E-mail : zxsdffsdfs@outlook.com วันที่ : 27 มีนาคม 2559 14:33 น. ชื่อ : chenlixiang	E-mail : chenlixiang@yahoo.com วันที่ : 5 พฤศจิกายน 2559 08:48 น. ชื่อ : chenlixiang	E-mail : chenlixiang@yahoo.com วันที่ : 22 ธันวาคม 2559 19:27 น. ชื่อ : อั๋น	E-mail : pnmajad@gmail.com วันที่ : 23 ธันวาคม 2559 09:50 น. ชื่อ : Eminem	E-mail : asfasf@hotmail.com วันที่ : 22 กุมภาพันธ์ 2560 12:40 น. ชื่อ : xushengda0510	E-mail : xushengda66@gmail.com วันที่ : 10 พฤษภาคม 2560 15:51 น.
Previewed earlier this month, a lifestyle perspective of this forthcoming Nike Air VaporMax in College Navy is now revealed.Suggested to be part of the brand’s Summer 2017 VaporMax lineup, the sneaker’s flyknit upper is essentially Nike Air Presto covered in a blend of college navy, black and game royal. Dynamic Flywire cables and 3M reflective detailing on the heels consist as notable elements, while the model Nike Air More Uptempo is topped off with the new and signature full-length bubble Air sole unit.Priced at $190, the model is scheduled to make its debut at Nike retailers on June nike free 5.0 1. Nike is releasing a brand new colorway of the Air Foamposite Pro tomorrow to kick off the Spring season in style.Taking the flashy route (like many nike free flyknit Foams do), this Nike Basketball silhouette comes covered in an official color palette of Metallic Silver and Black. The silver foam shell upper is nicely contrasted by hints Nike Air Max Thea of black on the inner liner, tongue, eyestay, heel, and the carbon fiber shank on the outsole. The small Swoosh by the toe is done in silver which Nike Outlet Store matches up with the large jewel Swoosh on the side panel. This Foamposite Pro arrives at retailers tomorrow in full family sizing with the men’s pair retailing for Nike Air Max 2016 $250. Will you cop?Click and bookmark our official Nike Air Foamposite Pro Silver Surfer (Silver Age) launch page now for additional imagery, the latest info and full release Nike Free Flyknit details. Above you will get a first look at both the high and low top versions of the upcoming Nike Hyperdunk 2017. Not much tech info of the Nike Factory Store shoe is currently available, but by the looks of things it appears as if Nike opted to give the model a fairly simple look and design. Above you Nike Janoski will find that both pairs come with an engineered woven jacquard upper, while the sole comes equipped with a new Lunar cushioning system said to be lighter and Nike Flyknit Trainer softer than previous creations. Although the new Lunar cushioning is lighter and softer, Nike states that the impact protection has improved, while also providing more energy return. The Nike Flyknit outsole also comes with a pressure-mapped pattern resulting in improved multi-directional traction.Both versions of the Nike Hyperdunk 2017 will be releasing on August for the retail price of Nike Air Huarache $140 for the Highs and $130 for the lows. The Nike Air Force 1 continues to thrive as one of Nike Sportswear’s most featured silhouettes. The lifestyle icon Nike Air Max Outlet has been the recipient of a number of updates and must-have collaborations recently, but perhaps the most surprising construction is the return of the oft-forgotten alternate Jewel branding Nike Air Force 1 in the Nike Air Force 1 Jewel. The last time we saw this feature was through a collaboration with CLOT atop the Lunar-based model a few years back, Nike Air Yeezy 2 but it appears that Nike is bringing the Jewel Swoosh back atop both the Air Force 1 Low Jewel and the Air Force 1 Mid Jewel, complete with Nike Shox premium NikeLab-like treatments in off-white Sail, Cargo Khaki, and Pearl Pink, each featuring a premium tumbled leather base with an all-white bottom. The new “jewel” Air Force 1’s Nike Shoes drop April 1st at select Nike Sportswear retailers and Nike.com. The Nike Air Max 95 Metallic Gold joins the Nike Air Max Zero and the Nike Air Max Nike Roshe Run 97 as part of the 20th Anniversary of the classic Air Max 97 silhouette. This “Metallic Gold” Collection is a follow up to Nike’s “Silver Bullet” Collection that nike free 4.0 flyknit debuted earlier this year. For its release, the Nike Air Max 95 will come dressed in Metallic Gold, University Red and White color scheme.Reborn with a luxurious style, Nike Air Max this Nike Air Max 95 features synthetic overlays with the traditional mesh underlays. Paying homage to the origins of the Air Max unit, the shoe comes complete with Nike Internationalist a clean cut midsole and rubber waffle outsole with flex groves.Look for the Nike Air Max 95 “Metallic Gold” to release on May 18th at select Nike Sportswear Nike Store retailers and Nike.com. The retail price tag is set at $160 USD. Tomorrow is finally the day. The Nike Air Max 1 atmos Elephant will be making its Nike Air Max 2017 long-awaited return 10 years after its original debut.Highlighted by its use of elephant print on the mudguard and ankle, this Air Max 1 also features features a Black Nike Outlet suede on the upper with contrasting touches of White leather on the toe and midfoot. Providing another nice pop are the hits of Jade on the Swoosh and Cheap Nike Air Max Nike branding on the tongue and heel. Capping things off are a white midsole and black rubber outsole. Select retailers are still holding raffles (in-store and online) for Nike Air Max Tavas a chance to get your hands on a pair, so don’t sleep or you’ll miss out on one of the biggest releases of 2017. Retail price will be Nike Flyknit Lunar 3 $150. For Summer 2017, Nike Sportswear will be introducing the Nike Air Max 90 Slip-On. Taking the iconic Nike Air Max 90 silhouette and transforming them into a Nike Flyknit Racer slip-on shoe that will be releasing as a women’s exclusive. This model is actually known as the Nike Air Max 90 Ultra 2.0 EZ that will debut in Nike Juvenate a White, Black and Dusted Clay color scheme.The slip-on version of the Nike Air Max 90 features a perforated leather upper done in White with Dusted Clay colored Nike Air Max Zero mudguards. Black detailing covers the branded areas while sitting atop a clean White Air Max sole unit.Are you guys a fan of the new Nike Air Max 90 Nike Yeezy Slip-On model? Check out the detailed images below and you can now find sizes available through select Nike Sportswear retailers like 43einhalb. The new women’s edition of the Nike Flyknit Chukka Nike Air Presto featuring a leather upper is back in another tonal colorway, this time in “Paramount Blue”. The rich blue shade covers the entire shoe from the Nike Huarache premium stretch-leather upper, to the TPU cage, to the outsole below for a bold new take on the iconic “t-shirts for your feet” this spring. Ladies can find Nike Flyknit Air Max the Paramount Blue Presto now at select Nike Sportswear retailers and online directly from Nike.com. The Nike Air Zoom LWP debuted with the help of Louis Vuitton’s Kim Nike Roshe Flyknit Jones, a futuristic interpretation of the OG model that uses half Zoom and half Air that was inspired by two things: a love of travel and a love Nike Air More Uptempo Black of all of the technology that goes into sneakers. It was meant to be lightweight enough for any activity while a matching apparel collection was centered around the ability to pack light and use the bare essentials. Now the Air Zoom LWP is back Nike Shoes in a tonal Cool Grey look, slated to release under the NikeLab umbrella on May 8th, 2017. Check out a detailed preview below and head over to our Release Dates page for more updates from NikeLab and expect this pair to be on Nike.com come 5/18. The lone Air Max Nike Air Max model from Nike SB isn’t getting left out of the Air Max Day festivities, as the Stefan Janoski Max gets an awesome new multicolor look just in time Nike Flyknit 4.0 for March 26th. Easily one of the best colorways for the casual, off-the-board edition of Stefan Janoski’s signature shoe with a comfy duo of Air Max cushioning and Nike Air Max 2016 a flexible Free forefoot, the shoe gets its mesh upper in an intricate rainbow-colored weave with light grey accents and black Swooshes. Expect these to hit Nike SB nike free trainer 5.0 retailers on Air Max Day, March 26th. ชื่อ : Nike	E-mail : asfasf@hotmail.com วันที่ : 15 พฤษภาคม 2560 13:50 น. ชื่อ : chenlina	E-mail : chenlina1231@outlook.com วันที่ : 24 สิงหาคม 2560 12:41 น. ชื่อ : leilei3915	E-mail : linlei3915@hotmail.com วันที่ : 8 กันยายน 2560 10:49 น. ชื่อ : xiaojun	E-mail : xjd7410@yahoo.com วันที่ : 13 ตุลาคม 2560 16:07 น. ชื่อ : xiaojun	E-mail : xjd7410@yahoo.com วันที่ : 13 ตุลาคม 2560 16:23 น. A new colorway of the Nike Air More Uptempo is releasing soon, and this version is inspired by Scottie Pippen’s filthy dunk on Patrick Ewing, as well as celebrating the classic Kobe AD Shoes Chicago Bulls vs. New York Knicks rivalry of the ’90s. Sporting a white leather upper with Royal “AIR” lettering on the sides, pops of orange accents are seen on the tongue, heel and outsole to Kyrie Shoes complete the NY Knicks theme. Other details include Scottie Pippen and Patrick Ewing’s “33” embroidered on the heel to complete the design altogether.Look for the Nike Air More Uptempo Knicks at select Nike stores and Kyrie 3 online on September 23 for a retail price tag of $160. Click and bookmark our Air Jordan 6 Low GS Sunblush hub page now for the shoe’s latest release info and up-to-the-minute updates and images. Lebron Soldier 9 Always keep it locked to KicksOnFire for the latest in sneaker news and release dates. The kyrie irving shoes Nike Air Foamposite One dropped in Pearlized Pink in 2012 but next year, the popular basketball sneaker is releasing in a lighter pink edition of Elemental Rose. The featured image above is just a rendering but the model is reported to be covered in the pinkish hue across its foamposite upper with black accents throughout, while an icy Kobe Shoes translucent outsole completes the look altogether. The latest colorway of the popular Nike Air More Uptempo made its way to retailers today as we bring you on-feet images of the Knicks/The Dunk pair.Inspired by Lebron 14 Scottie Pippen’s filthy dunk over Patrick Ewing back in 90’s, this Air More Uptempo features a white leather upper with blue accents on the “AIR” branding, heel, and part of the midsole and outsole. Orange Kd 5 has also been added on the Swoosh branding on the tongue and midsole, as well as on the “33” branding on the heel to complete the Knicks theme. Not only is the upper inspired by Harden Vol 1 Shoes the Knicks, but the shoe also comes with special insoles that depict a silhouette of the iconic dunk by Pippen over Ewing. This is definitely a shoe where you’re going to want to put some Kobe Bryant Shoes tape on the insoles to make sure that picture lasts forever.Grab your pair now at select Nike stockists for a retail price of $160. Nike has just dropped the official images of the Nike Air Kyrie 3 Samurai Foamposite Pro Metallic Gold that releases exactly one week from today.This eye-catching colorway of the Nike Air Foamposite Pro comes dipped in Metallic Gold all throughout the Foam shell upper which has a carbon fiber-like Nike Kobe AD print/pattern. Black has been added on the eyestay, tongue, inner liner, laces, rubber midsole, and the carbon fiber mid-foot shank. Finishing details include a Metallic Gold jewel Swoosh on the side panel and additional Swoosh James Harden Shoes logos on the toe and heel.You’ll be able to grab the Nike Air Faomposite Pro Metallic Gold at select Nike retailers on October 19, 2017 for $230. Click and bookmark our Nike Air Foamposite Pro KD 9 Elite Metallic Gold hub page where you’ll keep up with the latest images, release information, and other updates. The Nike Air Foamposite One is releasing in new colorways next year and one of those is this Lebron Shoes premium Abalone edition. Featuring a vivid design, the shoe’s upper is colored to reflect an Abalone sea snail’s shell with a multicolor iridescent upper. Black accents for the sock liner, carbon fiber midfoot shank, outsole Kobe AD and other details such as teal accents on the Penny logo and mini Swooshes complete the style altogether.Retailing for a price tag of $250, look for this Nike Air Foamposite One at select Nike stores KD 9 and online February 2018. Click and bookmark our official Nike Air Foamposite One PRM Abalone hub page now for all imagery, the latest information and full release details. Always keep it locked to KicksOnFire for Kobe A.D. the latest in sneaker news and release dates. The NBA is back! First game on the schedule: Boston Celtics at Cleveland Cavaliers. It’s only fitting, right? That being said, above you will find Kyrie Irving’s Kyrie 2 Nike Kyrie 3 Shamrock PE. Kyrie recently unveiled his PEs during shoot around in anticipation of tonight’s game.This PE version of the Kyrie 3 comes in a predominantly Black upper that is then highlighted by Lebron 14 Elite the Green Shamrock logo pattern placed on the toe of the shoe. Adding to the Celtics theme is the Gold Nike Swoosh noted on the side panels. A translucent outsole rounds out the main features LeBron Ambassador 9 of the shoe.Will Kyrie Irving be wearing this Nike Kyrie 3 Shamrock PE for tonight’s season opener against his old team? I guess we’re going to have to wait and see. In a little over KD Shoes a week we’ll see the arrival of the next Foamposite as the retro silhouette has blurred the line these days between basketball and lifestyle with new colorways like this.For its latest trick, the Nike Air Lebron James Shoes Foamrposite Pro gets covered in an eye-catching Metallic Gold carbon fiber-like Foam shell that is something new for the silhouette. Black has been added on the eyestay, tongue, laces, inner liner, heel, rubber outsole, and Adidas Harden Vol 1 the carbon fiber mid-foot shank. Finishing details include Swoosh branding on the toe, heel, outsole, and a metallic jewel Swoosh on the side panels.You’ll be able to grab your pair next week on Thursday, October James Harden Shoes Nike 19th for a retail price of $230. Click and bookmark our Nike Air Foamposite Pro Metallic Gold hub page where you’ll keep up with the latest images, release information, and other updates. The Nike Kobe Kyrie 1 A.D. Mid will soon be releasing in a new colorway that can easily by worn by players of his former team, the Los Angeles Lakers.Known as the Nike Kobe A.D. Mid Baseline, this colorway comes Lebron 10 dominated in White throughout the majority of the upper including the tongue, laces and heel. Contrasting Court Purple is then seen on the Flywire, the embroidered Swoosh on the side panels, inner liner, outsole, and Harden Shoes the Kobe logos on the tongue. A white and purple midsole with black speckling and unique logos on the heels complete the look on this Kobe A.D. Mid.Look for the Nike Kobe A.D. Mid Baseline Harden Vol 1 to release on October 1st for a retail price of $150. The first women’s exclusive colorway of the Nike Air More Uptempo releases tomorrow in barely green. Featuring the minty hue covering most of its LeBron Soldier 10 white leather upper with perforations, the shoe is also detailed with the oversized “AIR” lettering on the sides colored in white. Nike swooshes are added on the toe and its signature air bag in the Kobe 6 heel completes the style altogether.Look for the Nike Air More Uptempo Barely Green at select Nike stores and online on September 23 for a retail price tag of $160. Click and bookmark our Air Jordan Kobe 4 32 Rosso Corsa hub page now for the shoe’s latest release info and up-to-the-minute updates and images. Always keep it locked to KicksOnFire for the latest in sneaker news and release dates. The Nike Air Kevin Durant Shoes More Uptempo is coming in a Dark Stucco colorway next and it’s a great pair to wear in the Fall 2017 season. The shoe features an olive hue across its upper with perforated detailing and Kd 6 black leather accents are used for the oversized “AIR” lettering, that also continues to the heel, midsole and branding. Visible air in the heel and a matching outsole completes the style altogether.So far, the shoe Kyrie 3 BHM is releasing in GS sizes only for $160 at select Nike stores and online soon. Click and bookmark our Air Jordan 12 Dark Grey hub page now for the shoe’s latest release info and up-to-the-minute Kyrie 3 Shoes updates and images. Always keep it locked to KicksOnFire for the latest in sneaker news and release dates. ชื่อ : Baodan	E-mail : asfasf@hotmail.com วันที่ : 23 ตุลาคม 2560 10:19 น. ชื่อ : chenlili	E-mail : chenlina1231@outlook.com วันที่ : 6 พฤศจิกายน 2560 14:54 น. ชื่อ : chenlina	E-mail : chenlina1231@outlook.com วันที่ : 16 พฤศจิกายน 2560 13:59 น. ชื่อ : chenlina	E-mail : chenlina1231@outlook.com วันที่ : 20 พฤศจิกายน 2560 16:47 น.